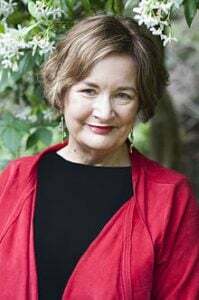 Last week, Better Reading had the pleasure of speaking to beloved Australian author Jackie French about all things books, reading, and wombats. The podcast conversation centred heavily on the importance of reading for everyone, with a special focus on children – something Jackie feels very passionate about. As the Australian Children’s Laureate for 2014/2015, the ACT Children’s Week Ambassador, and patron of Books for Kids, Jackie has spent a great deal of her 25-year career advocating for the literary rights of children, and her deep dedication to and investment in this cause is showcased in this podcast. During her conversation with Cheryl Akle, Jackie mentions that as a child, her upbringing le ft a lot to be desired. Books were a great solace to young Jackie – an escape from the harsh realities of the world around her, a sanctuary into which she could disappear. When she ran out of books to read, Jackie began to write her own stories at the age of six, and through this creative process, found a deep satisfaction. After all, she could now write the type of stories she had always wanted to read, create her own endings and develop her own characters. It’s no question that Jackie French has changed the lives of both parents and children here in Australia, and around the world. To hear more of her infinite wisdom about the power of books and the importance of childhood reading, listen to our podcast here. If listening to this podcast raises any concerns for you, 1800RESPECT offers 24 hour help and support.